In July of 2012, Myspace had 25 million unique visitors from the United States. This may seem like a large number, but let’s make some comparisons to other social media websites. Facebook has over 800 million users. Twitter has over 500 million users. Linkedin has over 100 million users. Even the newest social media site Google+ has around 60 million users. So why did Myspace drop off the social networking scene? Myspace was founded in 2003 and it exploded in popularity on the Internet. It was purchased by New Corporation in July 2005 for around $580 million. From 2005 until 2008, Myspace was the most popular social networking site in the world. Also, in 2006 Myspace became the most visted website in the world, even over Google. They reached over 100 million users in August of 2006. At its peak, Myspace was valued at around $12 billion. 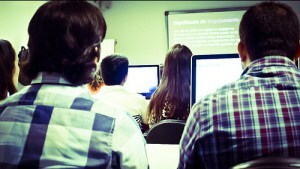 Facebook began as a social media website for college students primarily. It was barely considered competition with Myspace when it began, but in April of 2008, Facebook surpassed Myspace in Alexa rankings. Since the creation of Facebook, Myspace has been on a steady decline in user membership and page visits. There are many reasons of the decline of Myspace as compared to the rise of other social media sites like Facebook, Twitter, and tumblr. Perhaps the most significant reason is the lack of innovation and new abilities to improve the user’s social networking sites. All Myspace offered was user to user interaction through wall posts and friend requests. In addition, they added a music feature where users could publish their music to Myspace and share it with friends and other users. Facebook offered games, quizzes, music, friends, and other interactions to keep their clients entertained and constantly using their website. Even Twitter allows users to connect with famous celebrities and users without using friend requests. Twitter keeps users up to date with current events because of its real time updating. 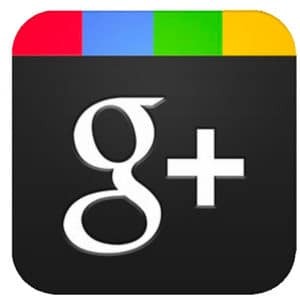 Google+ launched in July of 2011, and as of June of 2012, the social media site gained over 250 millioin followers. It began as an invitation only website, meaning that new users would have to have received an invite from other current users to gain access to the site. By the end of December 2011, the site reported to have around 625,000 new users a day, and they estimated to have around 400 million users by the end of 2012, compared to the 800 million of Facebook. Google+ appeared to be the best competitor to the social media powerhouse Facebook. However, statistics did not support this, stating that users were spending 3.3 minutes monthly on the website. This is nothing compared to Facebook users, who spent, on a monthly average, of 7.5 hours on the site. Also, the dominant age bracket for the site was users between 24-35 years old, which contrasts to that of Facebook which is a much younger bracket. Googe+ may be a successful case study to prove that top social media websites like Facebook and Twitter cannot be competed with. But the only remaining question is whether or not Facebook will remain popular witht the changing times. Will Facebook become the next Myspace? Will another website take over the social media world? Only time will tell. Companies nowadays are using social media to their advantage. It is very simple for companies to spread their products or company name virally through social media. It is necessary nowadays for corporations to have social media presence to connect with their target audience and get their name out there.